We offer a selection of flexible packing solutions which can be tailored to suit choice and value for money. 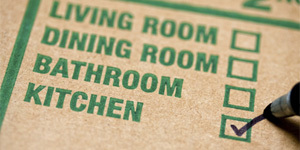 In order to help take the pressure off the moving process, our staff can carry out either a full packing service (i.e. china, glass, ornaments, pictures, kitchen and bedroom contents) or a breakables only service, or a kitchen packing service or indeed any combination of packing that you may require. 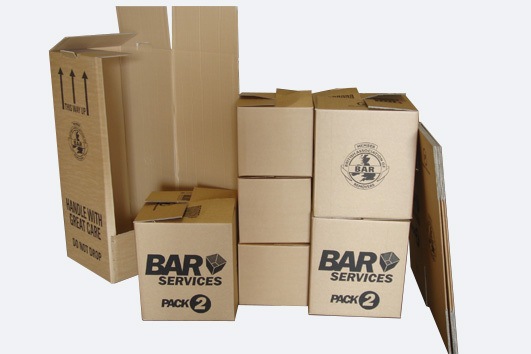 However, many customers prefer to pack themselves but when packing yourself, choosing the right carton is important for both strength and appropriate size. Therefore being able to obtain the right moving boxes is important in order to protect your valuable goods and this can sometimes be difficult. Supermarkets used to provide a substantial supply for the DIY client, but with the different ways of delivering food these days, this is no longer a viable option. Unless clients have access to cartons from work or from friends, the only real option is to buy them from one of the local suppliers in Bickinghamshire. However, part of Robinsons comprehensive moving services is to supply our clients the specialist cartons needed on a "hire basis". By hiring moving boxes, our clients are entitled to a partial refund, bringing the net cost down far below a similar carton purchased from other local suppliers, which for a large double walled carton could be over 150% more than the net cost of hiring one of our cartons! You can bring the cartons back at any time in the 6 months following your move to take advantage of the refunds on offer, so you can afford to unpack at your leisure. You can write on the cartons. 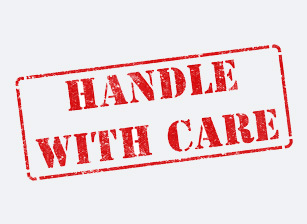 If the cartons are returned to our depot for a refund then it also solves the problem of what to do with lots of bought cartons, which even flat packed, take up space. Additionally, packs of clean white wrapping paper and sealing tape are available for sale. There are no preset limits on the amounts of cartons that our clients may wish to hire. Clients can hire 1 or 100 cartons. 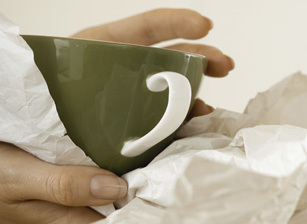 We have different sized cartons that are available, to cater for china and glass or heavy items, such as books, c.d's etc. A list of the materials available for hire or sale and full pricing details are sent out with each and every quotation. Our clients are able to take advantage of our pricing policy, but for our non removals customers, we are pleased to supply the same materials but on a purchase basis only. For these pricing details please telephone our Aylesbury office for further information.